When you live in an harbour city, you are accustumed to the sea rhythm. Since you childhood you measure time with sunsets (in my case because I live on the Tuscan coast), summer seasons and also waves. When you are a kid your parents sometimes take you here to see the big ships that seems giants to your eyes. So tonight, at the end of a working day I just stopped in the fishing area of the harbour, seeing the sunset. There was a boat passing and returning home so I tried to capture this image. What a romantic image, you would tell me 😉 It is not only romance, it is a sense of life! Life is made of basic and concrete things! 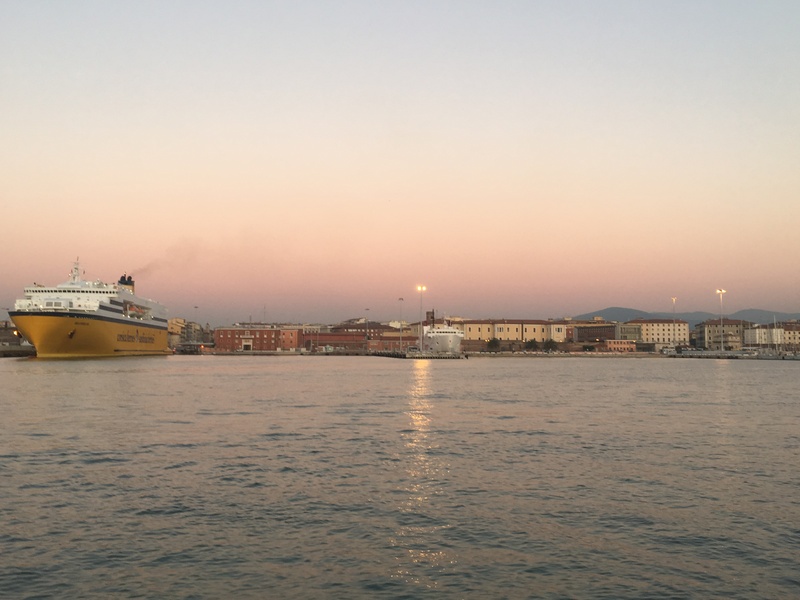 So if you come to Livorno just come to see this side of the harbour, very close to the city downtown, there are also little nice places where to eat or have a beer and sit down and look at the horizon! And you can see the city from the sea perspective!